← AB 1103 – How you can benefit? 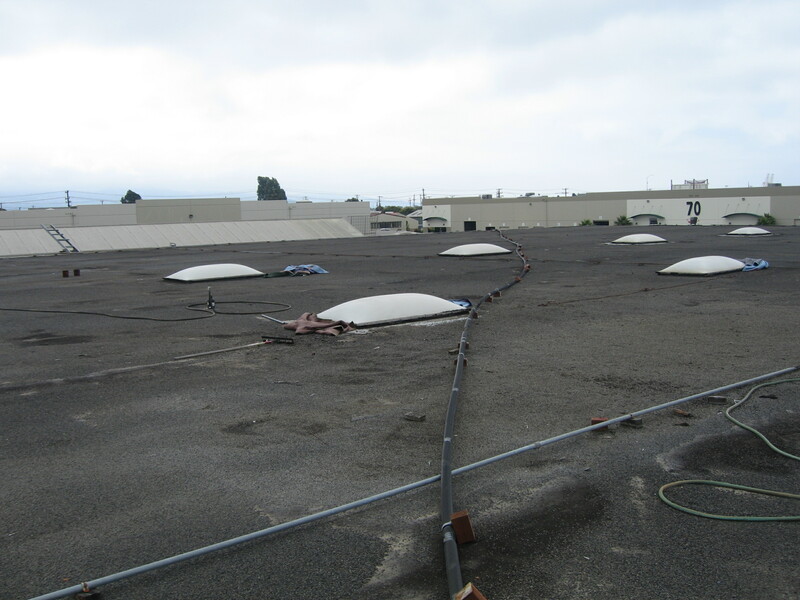 On the audited campus only two buildings have equally laid out skylights installed. Warehouse A has some skylights in the center of the building. They all would be able to utilize daylight, especially adding the harvested daylight in the door areas of the buildings. During the audit we also heard the comment that sometimes some of the light circuits in warehouse B are not switched off over night although nobody had worked. Automatic lighting controls (ALC) increase the probability that day lighting will save energy. ALC enable the client to cut lighting energy costs from 40% to as much as 70% or more. These savings are achieved through integration of multiple lighting control strategies, including scheduling, day-lighting, occupancy sensing and personal control. Smart strategies ensure optimal operation while maximizing savings and occupant comfort. 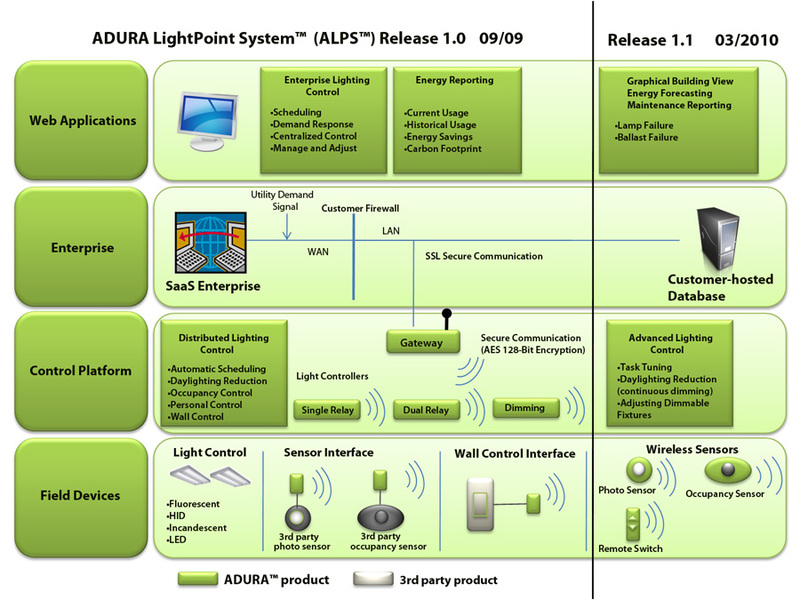 Occupancy sensors can be integrated into the ALC to turn lights on when an area is occupied and off when it is empty. In addition, glare and contrast must be controlled so occupants are comfortable and will not override electric lighting controls. We recommend installing an ALC at warehouse B as this building has different departments with different schedules and therefore we think that a smart light control strategy (figure 2) will reduce the energy consumption and lower the peak load level. We assumed that all existing fixtures are staying in place with the same wattage and that the lights are on during the night for about 30% of the year. We have not calculated any benefits from daylight harvesting nor from reducing the peak demand by either switching off or dimming lights. We anticipate that savings will be higher than projected as peak-day pricing from PG&E will be introduced for all customers in 2011. Costs were estimated and have to be verified. 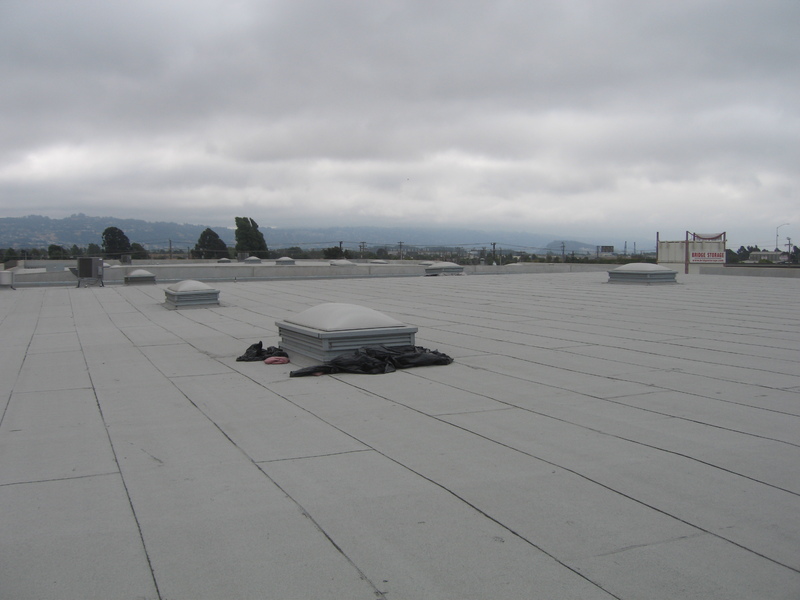 The potential incentive was based on the PG&E program “Incentives for business energy efficiency retrofit projects” for Lighting. This entry was posted in Lighting and tagged Automatic lighting control, Daylight harvesting, Demand response, Energy Efficiency, LEED®, Ligthing, reduce, Retrofit. Bookmark the permalink.